Since I skipped several video game console generations, I find myself lately catching up with classic games I’ve missed in the past. One of the great things about Steam is that you can add non-Steam games installed on your system and consolidate your game library in one place, regardless of point of purchase. Recent Steam releases (Alien: Isolation), modern non-Steam games (Minecraft; Fortnite) and DRM-free oldie console ports (Indiana Jones and the Emperor’s Tomb) all live together in harmony within my Big Picture grid. This has some drawbacks I can live with, like missing achievements on Steam-available games not purchased through Steam. The biggest hassle, however, is getting older releases like the Indy game to both launch from Steam and run like a console port. Which is to say, run on modern resolutions with playable button bindings on my Xinput controller. 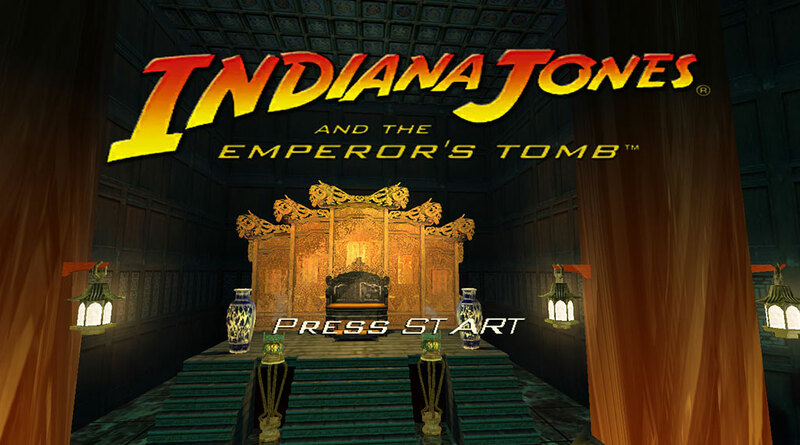 Today, I’m revealing how to get Indiana Jones and the Emperor’s Tomb to run on Steam like a console port. 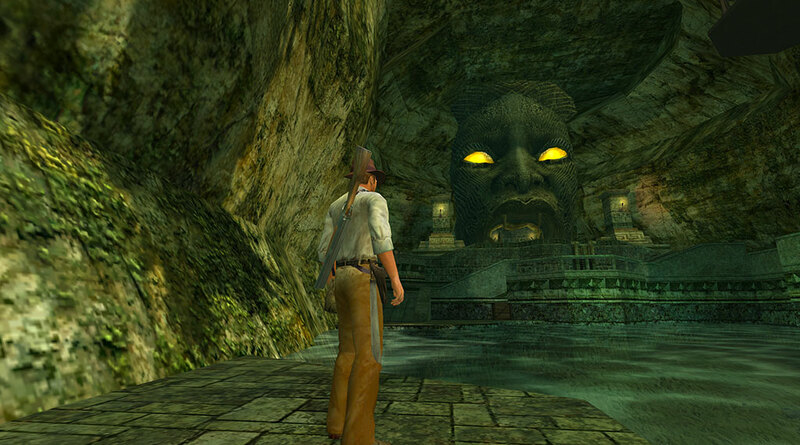 You will need a legally owned and licensed copy of Indiana Jones and the Emperor’s Tomb. These instructions work with both the original PC release of the game and the GOG version. The Installation and Add to Steam sections should apply for the Mac OS X version, but I cannot vouch for the rest. If any Mac users wish to try the rest of these tips out, please let me know how it goes. A Steam grid image for the game. 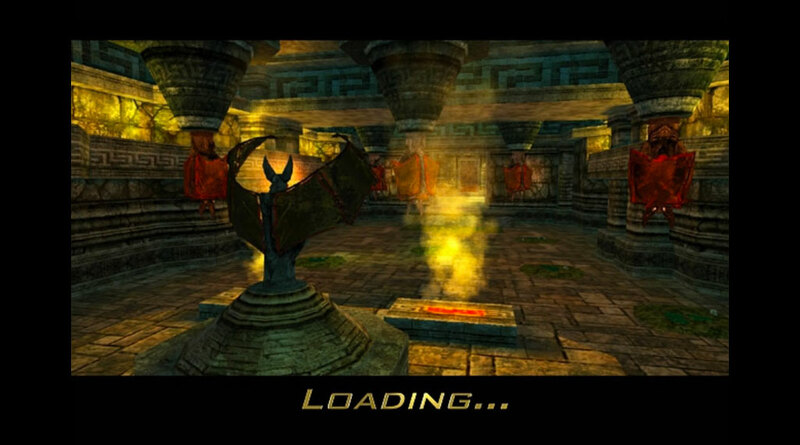 Widescreen cutscenes and loading screens for the game (download from the ModDB site). Widescreen fix files (download from the Widescreen Gaming Forum site). This part is pretty straightforward if you’ve ever installed anything on Windows. Double-click on your installer (whether downloaded or inside physical disc media) and follow the instructions. Take note of the install location, since you’ll need it for the next few sections. In addition, if you own a disc-based copy, you’ll have to create an ISO image of the main disc, then write a batch file so that it mounts at startup or when you run the game. But seriously, that’s too much of a hassle. Just buy the GOG version. It’s cheap. This isn’t a paid endorsement, just practical advice. Open Steam. Exit Big Picture if it’s set to run at startup, then open the standard Steam Client window. Click on + Add a Game… in the bottom left corner of the window. Select the Add a Non-Steam Game… option and click Browse. Click on Add Selected Programs. Go to the View menu and select Game Grid to change to Grid View. Right-click the indy shortcut and select Properties. Change the shortcut name to Indiana Jones and the Emperor’s Tomb and click the OK button. Right-click the shortcut again, select Add Custom Image… and click the Browse button. Select the custom Steam Grid image you downloaded at the beginning, then click OK and Set Image. Now you have a great looking shortcut to launch your game. 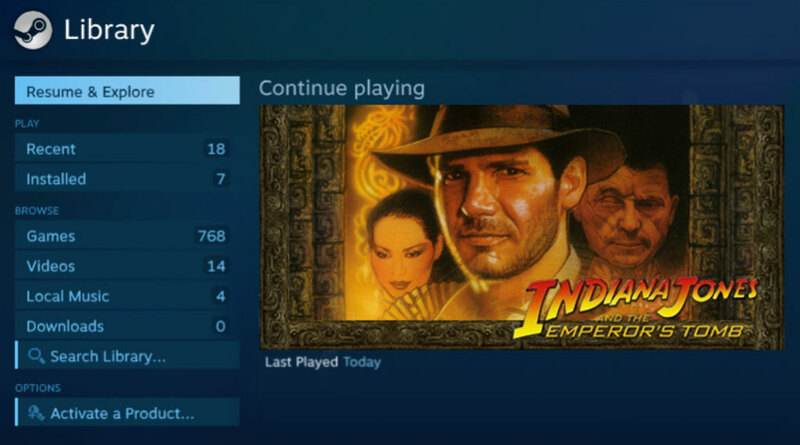 Also, when your Steam account is online, your friends will know you’re playing Indiana Jones and the Emperor’s Tomb. A funny thing about most 3D-based games that are ten years old or longer is that few, if any, support screen resolutions with a 16:9 aspect ratio. Running these games on an modern LCD screen results in horizontally stretched images. This is because back then, most screens outside of a movie theater – TVs, computer monitors, etc. – were square (or 4:3 to be precise). Fortunately, many hard-working smart people on the web (like those behind the Widescreen Gaming Forum) have found ways to tweak these games into supporting 16:9 resolutions. The Indiana Jones and the Emperor’s Tomb widescreen fix was particularly tricky, but was finally released last year. Once you launch the game, it will display the chosen resolution with only a stretched HUD that is barely noticeable. Having 4:3 cut scenes in a 16:9 game ruins the mood somewhat, which is why gamers have used video editing software to resize all the game’s cut scenes and loading screens to 1280×960. Make sure to replace all the files inside the movies folder. We’re almost ready, but we still need to free the game from requiring your keyboard. 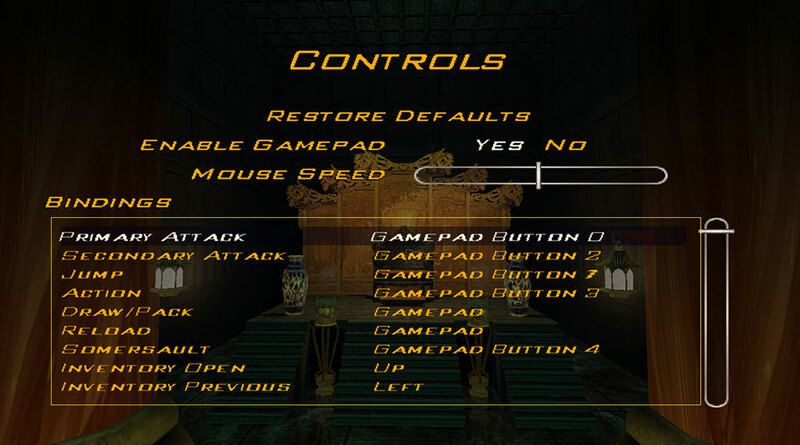 Another thing besides 16:9 resolutions that games made prior to 2005 tend to lack is native support for the XBox 360 Controller and other compatible Xinput-based gamepads. Even those old games compatible with modern controllers will either bind the buttons incorrectly at default settings or not detect all the buttons available to map. There are many workarounds to this issue, both free (JoyToKey; X360ce) and paid (Controller Companion). However, my favorite solutions involve hard wiring the settings files until they allow full controller support. 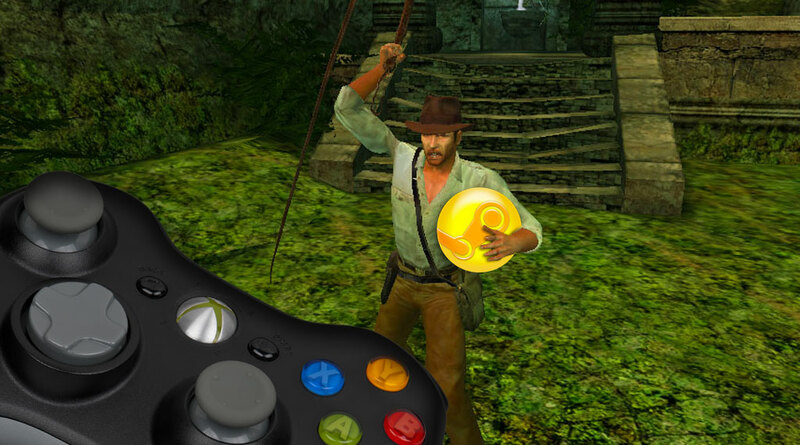 As it turns out, Indiana Jones and the Emperor’s Tomb lets you bind nearly all of the XBox 360 controller’s buttons from within the game. The exceptions are the trigger buttons (LT and RT), as well as the Directional Pad. Last year, with help from the guys at the GOG forums, I rewrote the game’s binds.cfg file. As a result, my controller can play the PC game like its XBox and PS2 console versions (including the triggers, but replacing the DPad functions for the Back button). TipsKeyboard.txt and stringskeyboard.str are the original versions of Tips.txt and strings.str that came with the game. I’ve included and renamed them in case you ever need to revert your changes. You’re done! You can now launch your game from Steam and play like in the console versions (“Press START!”). Consequently, even the on-screen popup tutorial tips will reference the actual buttons on your controller! You may need to disable User Account Control security for the game if Windows prompts you at launch. To do this, right-click indy.exe, then select Properties. In the Compatibility tab, uncheck both Run in Compatibility Mode and Run this program as Administrator. You can add any custom image to use on your Steam Grid shortcut. The image should measure 460×215 pixels at minimum. Double that size to 920×430 if you wish to future-proof your shortcut. You can edit and resize cut scens from old games using RAD Video Tools. Try tweaking the game’s videos to get a better result. If you feel emboldened, try your own binds.cfg configuration on your controller. Check out this topic on GOG.com. Users there keep improving the game’s native support for Xinput controllers and may have already solved the DPad problem. Most games have online modding communities where fans modify their assets to change models, textures, maps and even gameplay. 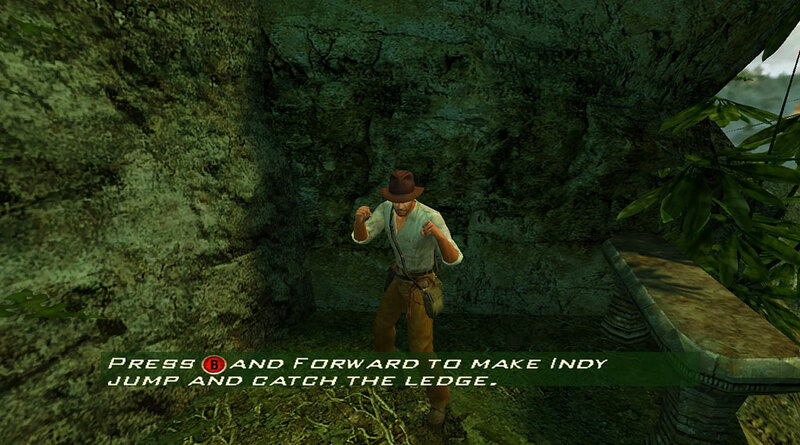 The Dragon Pearl mod for Indiana Jones and the Emperor’s Tomb, which I’ve not played, increases the game difficulty so that the player has less of an advantage during brawls and gunfights. Try that one out and search the web to find more mods you might like. Finally, a quick shout out to the folks at the Widescreen Gaming Forum, the GOG forums (SumoX; Herro_kitty) and ReiKaz316 at ModDB from which most of this info was distilled. Follow Steam Roller on Facebook, Twitter and Instagram.